Towards the end of last month, the United Arab Emirates Insurance Authority quietly went public with a 26-page synopsis of its latest thoughts with respect to its already-flagged-up plans to introduce a raft of new regulations governing the way life insurance and insurance-based savings and investment products are to be marketed and sold in the country. The IA regulations package, which is currently being referred to simply as “Draft Circular No. 12 of 2017”, updates the IA’s previous missive, Circular No. 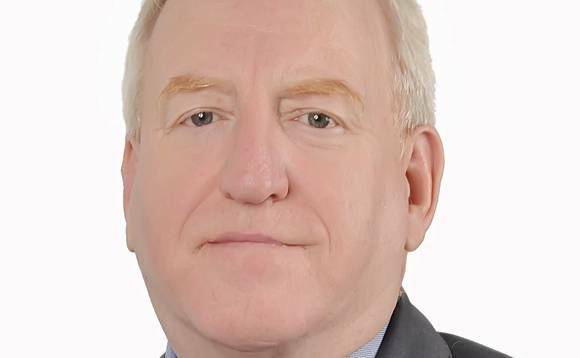 33 of 2016, and in so doing, contains a number of new elements – the most surprising of which is a change is in the minimum requirements for insurance intermediaries looking to practice in the UAE, and news of plans for them to be registered, according to Gordon Robertson, founder and director of Investme Financial Services. Below, Robertson, pictured, takes an in-depth look at Draft Circular No. 12 of 2017 (subtitled “Draft Regulations Regarding Life Insurance and Family Takaful Business in the UAE”), and shares some of his findings and conclusions – a key one of which is that the UAE’s advisory industry is currently “not prepared” for the changes it will soon be expected to take on board. Since last November, we have been aware of the coming changes in the way insurance-backed savings and investments are sold and marketed in the UAE. There were hopes that “Circular No. 33”, as we came to know the document outlining the proposed changes, might be watered down. Now that we have the next instalment of what the Insurance Authority is planning to introduce, it says, as soon as possible, in the form of Draft Circular No. 12, we find that although there have been some minor changes as to the implementation, the real surprise lay in the way the IA is proposing to regulate the UAE’s army of financial intermediaries. If the regulations take effect as set out here, it is clear that quite a few intermediaries will be forced either to close, merge, or leave the industry in the UAE. The timing hasn’t been formally set, but the Insurance Authority has made it clear that it is setting a May 11 deadline for input on its proposals from “life insurance companies and family takaful operators and other interested parties”, after which it is hoping “to issue the final regulations without undo delays”. Once published in the Official Gazette, much of this will become law immediately; some of it a year later, and the rest in another year’s time. These proposals will clearly alter the face of insurance-backed lump sum and savings programmes in the UAE. This is possibly not surprising, as they’ve been brought about in response to a huge number of mostly-justified complaints from clients who have been reacting to what they consider to be excessively high fees, the lack of commission disclosure, and up-front commissions, as opposed to commissions being spread out over the life of a policy. The maximum fee that advisers, under the new proposals, will be allowed to charge on savings products is 4.5% of the periodic premium (investment portion), to a maximum of 90% of the first-year premium (down from the current 7% to 8% level). First year commission is capped at 50% of the annualised premium, or 50% of the total commission paid, whichever is less. The rest will be paid over the life of the policy to the adviser.This will be paid by the product provider, and not through the client’s account. There will be a commission claw-back against the agent during the first five years, based upon the first year’s commission. Ten percent of the annualised premium (protection portion), times the number of years of the policy, with a cap of 160% of the first years premium (single premium is 10% of the premium). b. 10,000 for the protection (insurance). Total commission would then be AED75,750, of which 50% would be paid to the agent in the first year, and the remaining amount over the life of the policy. Year One, for the agent, would be half of AED75,750 , or in other words, AED37,875, with AED2,525 annually for each of the next 15 years. However, the first-year commission would be subject to a commission claw-back during the first five years of the policy. Under the Insurance Authority’s new regime, the maximum commission that may be deducted is 10% of the whole premium, or 160% of the annual premium, whichever is less. In other words, a client saving US$1,000 for ten years would pay a maximum commission of US$12,000 (or 1,000 x 12 x 10, for a total commission of US$12,000. Single premium policies will have a maximum commission is 10%. The adviser can still be paid a trailing commission; however, the fees can no longer be recouped from the product. In other words, if a client buys a current mutual fund, it traditionally has had a high Total Expense Ratio (TER); this is because part of that TER was being reimbursed to the adviser. This will no longer be permitted. As such, the funds will have a lower TER, giving a higher return to the client. However, that may be reduced by having to pay a higher commission to the product provider (they are not allowed to breach the previous overall commission limits). Maximum commission for life and takaful products in the UAE is currently capped at 25% indemnity commission (this is where a life company pays commission upfront to an intermediary based on the full value of the policy). This is being stopped, and replaced with a system whereby the commission will be paid when the client pays the premium. Going forward, these will only be able to be marketed when it is clearly stated in a bold red font that “the product has a limited or no life protection benefit”. The customer’s signature is required immediately below this disclosure. The rules governing the sale of takaful products are similar to the way general insurance is structured. However, the wakala and muduraba fee for short-term products is set at a maximum of 35% of gross written contribution. Going forward, clients will no longer subsidise other sales channels. This will help reduce costs to most clients, as they will be paying only for the sales channel they are using. All parties to the transaction must sign off on the product sales document, clearly disclosing each one’s responsibilities. This includes the insurance intermediary, the agency representative, the broker etc. The documents must be in both English and Arabic. It was the usual practice previously that before an adviser gave an investment product proposal to a prospective client, they would often ask for certain documentation, such as a copy of the individual’s passport, visa, bank account information, etc. Under the new regime, this will not be allowed. No product will be able to be sold without all the relevant documents, and a copy of these must be supplied to the client. A declaration that the client signs will say that the client is aware the returns featured in the illustration are not guaranteed. Under the new rules, if an insurance agreement is cancelled during the ‘free look period’, the adviser must refund to the client all of the commissions that may have been taken; then the pro-rated first year commission must be paid back. The adviser is not allowed to pressure the client to recoup the cost of the adviser’s time and effort in preparing the structure. If there is a decision to cancel, then the client will be refunded their full premium. This may include any profit or loss on the fund but will not include the bid and ask pricing of the fund. If there has been a cost of a medical exam as part of the sale process, that can also be charged to the client. The client will receive a copy of the receipt for the medical as well a copy of the medical report. the intermediary is not allowed to ask the client why they want to cancel. However, a third party, such as the company or other representative, may ask, so long as they do not abuse this right by using pressure tactics. The frequency of payment to be used, such as monthly/quarterly/annual/single payments. The full and proper name of the plan; its sum assured, coverage term, and premium payment term. The death/protection benefit, account value and surrender value should be clear and distinctly presented. The premium shown should always be gross of all fees, but the death benefit, account value and surrender value should always be net of all fees. Any illustration should state that it is either “illustrative value” or “guaranteed value”, whichever applies. The cumulative plan premium should be indicated. All compulsory charges must be disclosed. Revised illustrations must be supplied if requested, and would be compulsory if any top-up premiums are more than 20%, or if there is a withdrawal more than 20%; also, if there are changes to benefits, this must also be disclosed separately with a revised illustration. The life insurance company behind the product being illustrated must quote the gross return, based upon cash flow, and then deduct all other charges so that the client is able to see clearly whether there is any actual benefit in having this type of policy. Two scenarios at a minimum should be illustrated. Maximum investment return is based upon the three-month EIBOR (Emirates interbank offer rate) plus 4%, rounded up to the next 0.5%. For example, current EIBOR (1 May 2017) is 1.46%; plus 4% is 5.46%, rounded up is 5.5%. The first calculation, therefore, would be based upon 5.5%. The second scenario must show a clear picture of the effect of charges or a reduction in yield. This will illustrate the effect of all the charges, if the illustration is not clear, then they must show a zero-pct. return. Under the new regulations, any fees paid by a mutual fund to the IFA, or to the IFA’s company, are considered to belong to the client, and must be reimbursed to the policy holder. Surrender charges and the surrender value of the policy at the end of each year must be provided as a separate document. The font must be in red, and the client must sign this document separately. If there is a discrepancy between the illustration and the valuation, then this must be justified by the actuary. For “with profit” policies, a qualified and appointed actuary must certify the illustration before it is shown to any prospective clients. The illustration should also be consistent with the valuation reports, and if it isn’t, the actuary may have to explain why it’s not. The annual valuation report has to be sent as a separate document, and not bunched with other documents. The “font” must be red, and the client must sign receipt of this document. To ensure that that the profitability of each savings product is achieved throughout the policy period, and that the policyholder is not heavily penalised for the company’s profit in the initial year(s), the actuary must ensure that any surrender charges are equitable between the provider and the client. These charges are only to mitigate risk in relation to the actual expenses incurred by the provider. Under the new regulations, the client will be required to sign a declaration stating “I have received a copy of this illustration and understand that non-guaranteed elements illustrated are subject to change and could be either higher or lower. The intermediary (John Jones) has told me that they are not guaranteed. Further I confirm that insurance intermediary (John Jones) has not made any verbal or written communication, electronic file or any other material that is different from this illustration”. Historical performance of the top five funds for that product in the client’s risk strategy must be provided to the policy holder.These top five funds are measured by assets under management (size of the fund), and with a minimum of five years’ history (track record) unless the fund has been in existence for less than 5 years. The client must receive information on all funds available in a period. The client will then select the funds they wish to buy, rather than the company or adviser suggesting a limited choice for the client.This must be disclosed at the point of sale and on an annual basis to the client.These top five funds must be chosen from the range of funds that are available to retail investors within the UAE. Banks often buy insurance at a discount from a provider. Under the proposed new regulations, the banks will no longer be allowed to mark up the price, and thus make an extra profit, when selling insurance to their clients. Under the new rules, the banks will can only be compensated by the insurance provider separately. Also, banks will no longer be allowed to insist that the client buy the credit insurance from the bank, but going forward, will be obliged to accept a credit life policy from other companies. The IA will notify candidates of their approval or rejection within 20 business days of their having completing their application. The licence has a maximum validity of one year, and expires on 31 December. On an annual basis, the insurance intermediary will submit a renewal document with supporting documentation no less than 30 days prior to expiration of their licence. The intermediary must inform the authorities within 10 days of any change to the intermediaries’ documentation, to ensure continued compliance. Under the new regulations, all forms of commission abuse will be strictly prohibited. Those who are found to be in violation of this may be subjected to the suspension or non-renewal of their licence. As indicated earlier, many of the proposed changes will be seen by the UAE advisory industry as Draconian, and will introduce a dramatic change the entire industry – to the benefit, many of us believe, of the industry’s clients. The biggest adjustment, for many, is likely to be that of having to comform with the new minimum requirements to become an insurance intermediary. As mentioned above, the consultation period on the latest version of the regulations is set to end on 11 May. Gordon Robertson is the founder and owner of Investme Financial Services, a Dubai-based holding company for a group of financial services businesses operating in the United Arab Emirates. He has been based in Dubai since 1998.